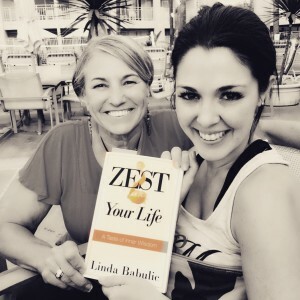 After a long talk with my new friend Linda Babulic about her book Zest Your Life , I realized that I need to start spending more time with myself nourishing my soul… or as Linda would say “igniting my personal power”. Time is always a challenge for me, as I am sure it is for most of you. So… I am trying to stop speaking and thinking about time in a negative, lacking way. I stopped saying “I don’t have time” because it’s not true. I do have time. I just have to re-evaluate how I use that time. I am working on it. Over the last few weeks I’ve made some small changes in how I spend my time – and it’s made a huge difference in my well-being, so I wanted to share it with you. Good morning! There’s an affirmation app for that. First things first. The first of my many alarms goes off a few minutes after 2 am and the mad rush of my day begins. The first thing I would do (after hitting snooze of course) when I opened my eyes would be to check my email and immediately feel behind and anxious. There were some mornings when I would go over all the things I am grateful for during my car ride to work- and I knew that those mornings would just turn into better days. So now, I’ve made it a habit of beginning each and every day with a new affirmation. I use (my fav) Gabrielle Bernstein’s Spirit Junkie app to help me do that. I take a moment to give thanks, clear my head, think about the message and start the day in a positive way. It’s on a timer, so I set my affirmation just like an alarm clock and I get it first thing in the morning (and then look at it a few more times during the day for refreshers)! It’s so simple and makes me feel so good, yet in recent years I haven’t made enough time to read books… until now! Reading a good book is like meditating for me. I am an old fashioned book girl. I like to mark pages, highlight and make notes. I find myself waiting a lot, so I’ve stocked up on soul-feeding books to carry along and read whenever I am “waiting” for something, someone, an appointment…. or when I just need to take a break. I am currently reading (and loving) Gabrielle’s book May Cause Miracles. 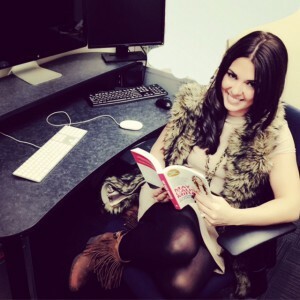 I am also a fan of anything Wayne Dyer and my new friend Linda’s book Zest Your Life. I even take photos of paragraphs or sentences that mean something to me and look back on those when I need a pick me up. I realize that the biggest chunk of time that I have to spend with myself is my travel time. I usually spend my time in the car making calls and my time on the train answering emails. That is all important. But so is time for myself. My friend Stephanie told me that when she needs to calm her mind she listens to the Hayhouse Radio app because of the spiritual, self-improvement content and soothing voices. I now listen to that app whenever I travel. I learn something and feel better each time I listen. Bonus, I now savor my time sitting in traffic. I’ve become very conscious of my breathing. I realized that actually hold my breath when I get nervous and stressed. I now just take moments to exhale all of that negative, nervous stuff out and just breathe. There is something about being in the presence of good energy. See if there any motivational talks or workshops in your area. Or just try to have lunch with someone you consider inspirational and positive. I am so incredibly excited to attend the I Can Do It! seminar in NYC this weekend. I still can’t believe that I just started listening to the Hay House app and coincidentally the people I listen to will all be in my city this weekend… and I am especially excited for Gabby Bernstein. I’ve turned into such a spiritual fan girl! There are 100 other things that I could or “should” be doing this weekend, but I decided to choose me. And what are the chances that they’ll all be a train ride away (and my friend Stephanie happens to be in town for the weekend)! It will be one big soul feeding with lots of leftovers I hope- and plenty that I’d love to share with you!